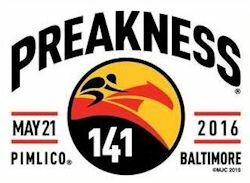 The Preakness field is set for the 141st running of the Preakness Stakes in Baltimore, Maryland. Eleven horses aim to grab the middle jewel in the Triple Crown but only one, Nyquist, can keep the dream of winning the Triple Crown alive. The weather report for Pimlico shows rain on Saturday so it may be interesting to see how Nyquist handles a potentially sloppy track. He is currently undefeated but all his other races have been run in good conditions. Post time is 6:45 pm EST and the race will be shown on NBC. Nyquist will once again be going up against his top rival Exaggerator. The Kentucky Derby featured twenty three-year-olds but the Preakness field is significantly smaller with only eleven horses. The smaller field may give Exaggerator a little more room to work. He almost caught Nyquist down the stretch at Churchill Downs after breaking out of the jammed up pack. Bob Baffert is back at the Preakness with Collected, a 10-1 shot. The pressure is off this year though after bringing eventual Triple Crown winner American Pharoah last year. The Run for the Black-Eyed Susans features ten horses looking to derail Nyquist. Here’s a few we like… Exaggerator has the closing speed to catch him but has lost every time they have met. 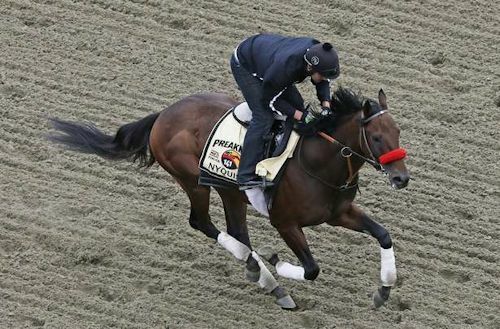 Knocking Nyquist off at the Belmont would be much more dramatic. Collected, the Baffert-trained horse, is coming in hot having won his past two races. And finally, Lani, the Japanese colt, is erratic, but could be the surprise pick here from the Preakness field. We hope you enjoy the race from Pimlico!